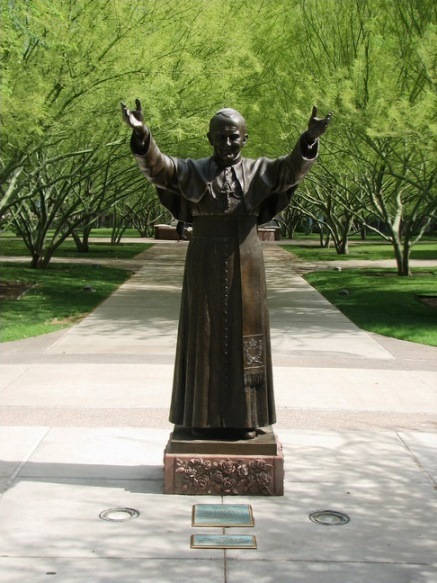 On April 27, shortly after his canonization, Benedictine College will rename its student union after Pope John Paul II. It’s the latest in a number of commemorations of the great pope’s legacy. On April 2, his death anniversary, enjoy these statues of John Paul II from around the world culled from Flickr’s Creative Commons. They show the universal love Catholics have for the Polish pontiff.